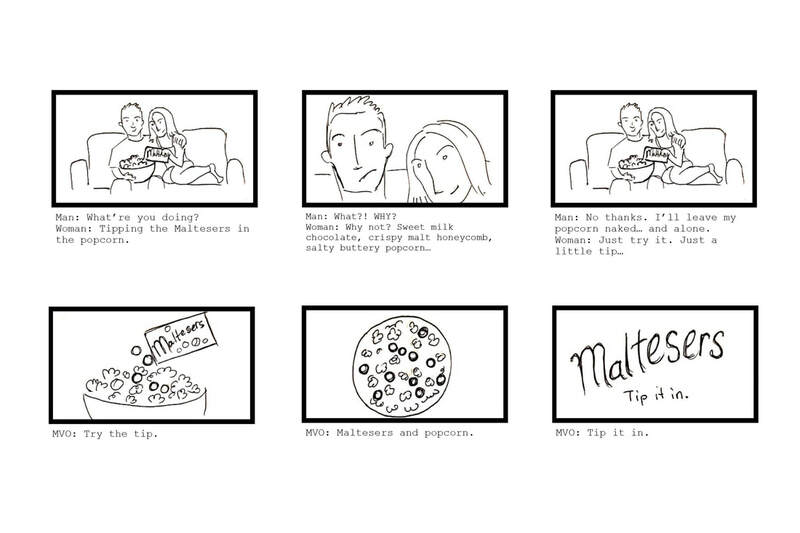 Maltesers - How can we show that Maltesers are the perfect movie time snack? 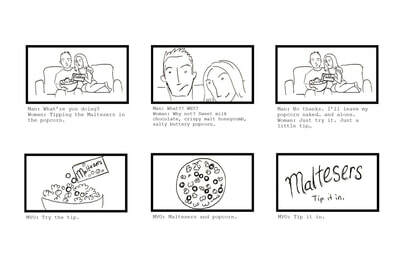 Popcorn is universally known as to go-to movie snack. 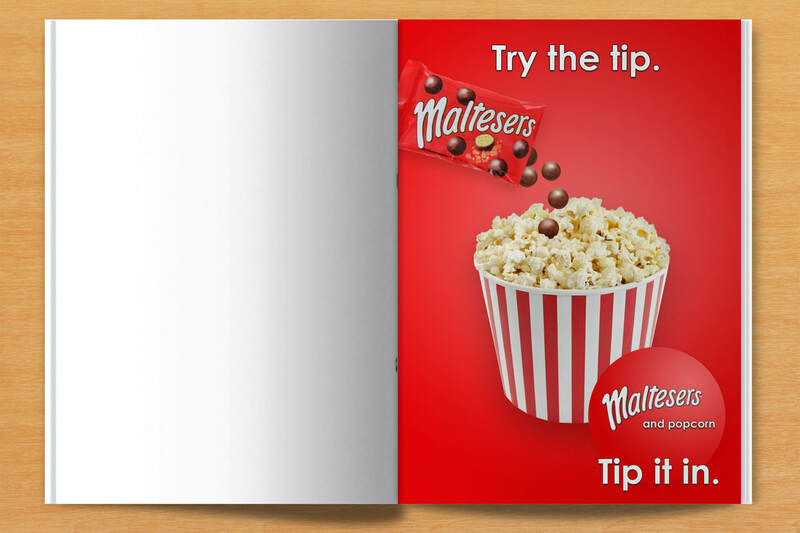 Some people enjoy adding Maltesers into their popcorn, but the idea is fairly polarising. 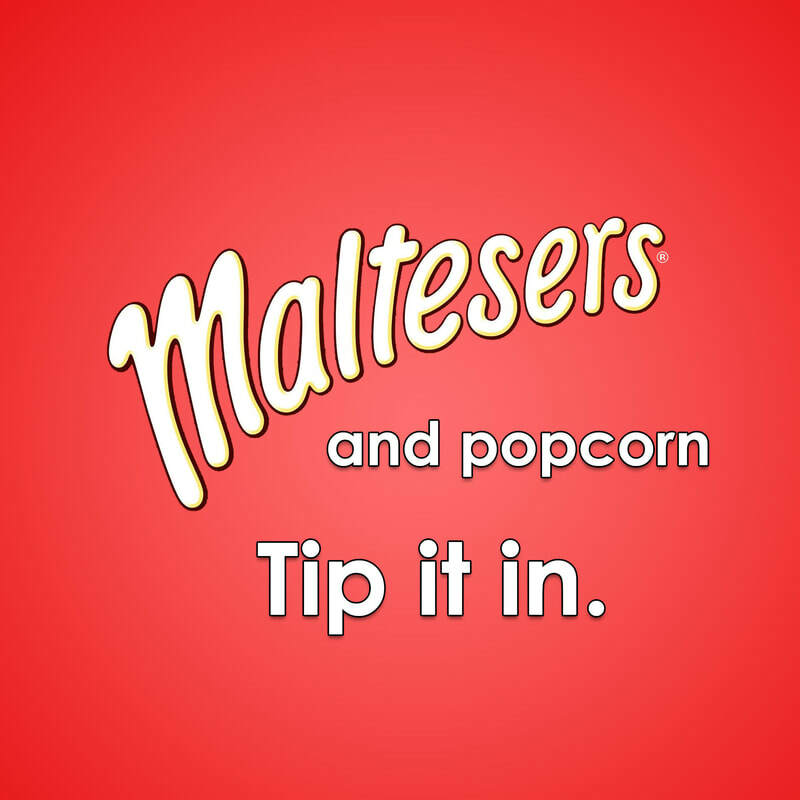 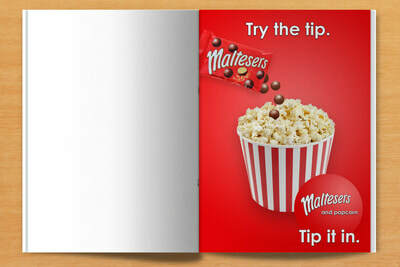 Using the brand's lighthearted and slightly risqué tone, create a conversation about mixing Maltesers and popcorn.